The overall quality of the pet’s life is a big consideration. While many people worry they will not know when the time is right, you are the best judge of your pet’s quality of life. During this very emotional time we offer two options. 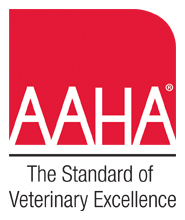 For our established clients, we can perform an in-house service so that you and your pet can be in a familiar setting. The most common option is in-house where you are surrounded by our comforting and supportive staff. You may bring your deceased pet home with you for a private burial or we can make arrangements for cremation services. 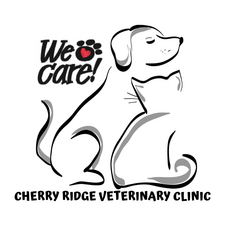 Cherry Ridge Veterinary Clinic has a professional relationship with Pet Memorial Services a cremation service in business since 1996. They offer private or communal cremation services with or without the ashes returned to the owner, depending on your choice. They also offer a variety of urns, stones, and jewelry. Communal Cremation Service is where a group of pets are cremated together, leaving their cremains inseparable. With this type of cremation service pet families are unable to receive their beloved's cremains as a keepsake, instead they are buried at a deed-restricted pet cemetery in Northern Pennsylvania. Private Cremation Service is where your pet is cremated alone where your pets cremains are saved for the pets family. Your pets cremains will be returned to you packaged in a velour pouch and hand carved hardwood urn with a custom engraved brass nameplate. This urn is provided free of charge with the individual cremation service and serves as a lasting memory. Pet Memorial makes every effort to have the pet returned as soon as possible. They also have a large selection of urns and boxes that can be purchased. We understand your desire to remain close to your departed companion and Pet Memorials line of jewelry is a discreet way to keep your friends with you always. These sterling silver pendants can contain a portion of your pets cremains for you to have with you as a fond reminder of your bond.Pendants come with a Jewelry Box, funnel, and a 20 inch box chain. Specially noted items can be engraved with a name or message with a limit of 10 characters. Jewelry orders are processed quickly and are shipped the following business day. Experts will tell you that one way to cope with the loss o a pet is to create a memorial that will help you focus on good memories. That's the idea behind our photo-Etched Memorials, memorial stones are custom etched with your personal sentiments, your pets name and a photograph you provide. These solid monuments are available in a variety of shapes and sizes and are perfect for indoor or outdoor memorials. Photo-Etched memorial orders will be processed and shipped after the customer approves the artwork. Urns: For keeping the cremains of your loved one, Pet Memorials urns come in many different materials, shapes and sizes to suit any size animal. They carry a high quality, curated line of urns to suit your needs. They also customize each urn to your needs if desired with options like engraving. Pictured below are some of the top purchased urns.